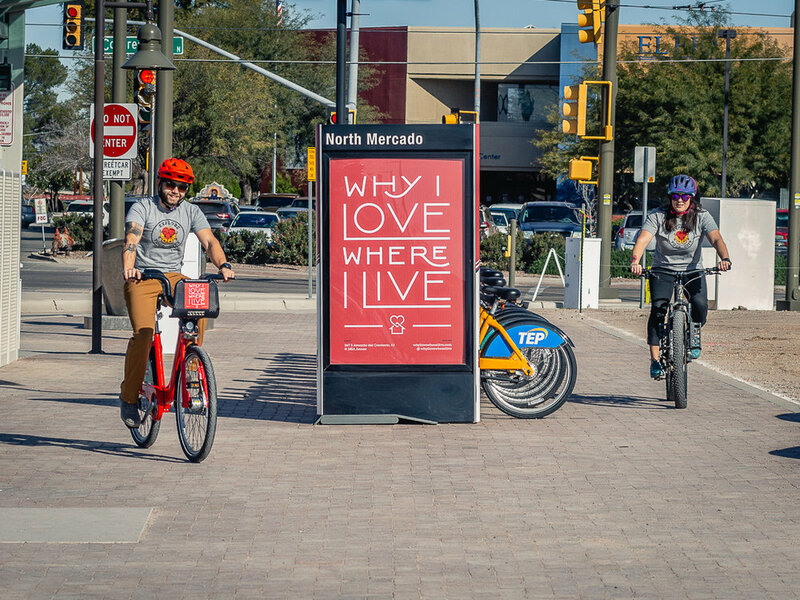 We’re kicking off a new partnership with Tugo Bike Share this month that includes a specially designed Why I Love Where I Live “Love Tucson” bike, a WILWIL Explorer Pack that comes with a free Explore Your City Shirt, and a Ride and Seek Challenge that you can play anytime and win fun prizes while exploring Tucson on bike! Read our blog post about Tugo! The Explorer Pack provides an unlimited number of 3-hour Tugo Bike Share trips for a 24 hour period, upon redemption. For trips that extend beyond 3 hours, users pay $4 for each additional 30-minute period. Upon purchase of the Explorer Pack, riders will also receive a custom Why I Love Where I Live / Tugo branded T-shirt, celebrating our community and to commemorate Arizona’s 107th Birthday. $40 Value for only $15! Offer valid through March 30, 2019.